The purpose of this site was to make online ordering easy by keeping it simple. That seems to be accomplished but we have only basic functionality at this point. The site now lists only two products (medium and large hard shell crabs) and allows for cash on delivery as the payment method. For now, we are not charging for delivery in the Philadelphia area for now (but that must change soon). Long distance delivery is not offered. We sell only live crabs but we will clean them to your specifications (unless the health department tells us that we can’t). Tony posed a list of questions to the health department and other authorities asking for clarification. Until we get clarification, crabs are not offered through 3rd party shippers. We now offer delivery in the southeast Pennsylvania and South Jersey area. The price is $25 to $55 depending on distance. Our refrigerated truck keeps your crabs safe and cool until delivery to your door. Our tiny working waterfront community was featured in the current issue of Edible Jersey magazine. The article called us the “epicenter”. We hear that we are New Jersey’s second most productive seafood landing port. 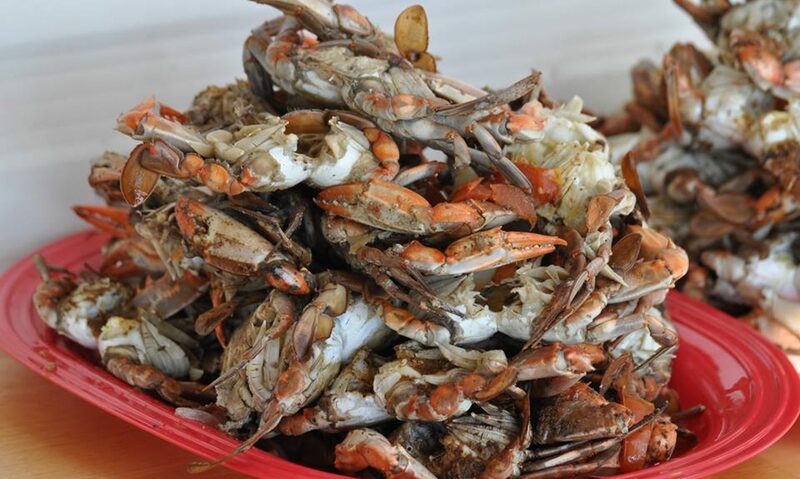 In the Chesapeake, the island of Tangiers is known as the capital of the soft shell crab industry. In the Delaware Bay our port of Money Island is known as the primary oyster landing port. We hope to continue to grow into the primary crab industry port as well.